The judgment in Eatherley v London Borough of Camden and another  EWHC 3108 (Admin) is important reading for anyone contemplating giving advice on the planning aspects of a residential basement extension. The case was a challenge by the Claimant Mr Eatherley, to grant a certificate of proposed use or development for a basement development by his neighbour Mr Ireland. The case deals with an important issue about the extent to which such development can be carried out relying on the current regime of permitted development rights. Mr Eatherley’s neighbour applied for a lawful development certificate in December 2015. He relied upon permitted development rights and proposed the formation of a new basement accommodation for his two storeys, mid-terrace, single family dwelling house. The works were to excavate a basement beneath the footprint of the existing dwelling house of about 2.85m in depth and width a maximum of 4.5m and length no more than 7.5m. The existing floor space of Mr Ireland's house was 128 square metres; the proposed floor basement would add 33 square metres. The local planning officer report confirmed the proposals met the limitations, conditions and exceptions of Class A, Part 1, Schedule 2 of the Town and Country Planning (General Permitted Development) (England) Order 2015 ("the GPDO"). The local residents' association objected on the basis that the proposals involved building and excavation works which constituted a separate "engineering operation", the second of which did not benefit from any permitted development right under section 55 of the 1990 Act. (1) The proposed development was a substantial engineering operation which was not within the permitted development right relied upon in the certificate. (2) The Council misdirected itself before concluding that the engineering works proposed were not a separate activity of substance. Alternatively, if this was a question of planning judgment, the Council's judgment was infected by Public Law errors and/or in any event irrational. (3) The interpretation of the Class A permitted development right as including the engineering works proposed in this case frustrated the legislative purpose of section 59 of the 1990 Act or the GPDO and was therefore ultra virus. In my judgment the planning committee asked itself the wrong question with its focus on the works being "entirely part" of the overall development, which would "by necessity" involve engineering works. It concluded that because this was the case it followed that the works did not constitute a separate activity of substance. That is not the approach laid down in the authorities. The Council's conclusion that the engineering works were not a separate activity of substance followed from misdirection. It should not have asked itself whether the engineering works were part and parcel of making a basement but whether they constituted a separate activity of substance. 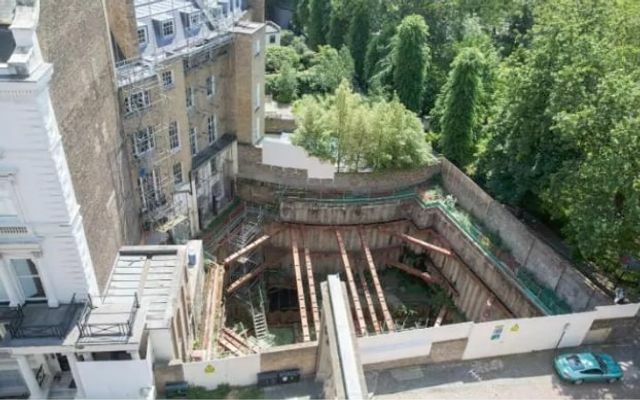 The Council needed to address the nature of the excavation and removal of the ground and soil, and the works of structural support to create the space for the basement. The Court granted judicial review and quashed the certificate of lawful development on the basis that the Council had failed to assess the additional planning impacts of the engineering works to decide whether they amounted to a separate activity of substance. While the Court’s judgement confirms rather than departs from existing legal authority, it helpfully underlines how important it is for applicants to take advice which enables them to present the correct information and supporting reasoning to the determining authority in order to maximise the chances of a robust and legally defensible outcome. The uptick in planning appeals and litigation in connection with basements is no surprise. Excavating a basement in London has become just another way of maximising property value, and the existing regulatory controls have been criticised by neighbouring occupiers. The concerns about such developments were raised during the passage of the Housing and Planning Act 2016. In response to this the Government is seeking comments and evidence to form the basis of a review of the legislative scheme of controls. The review closes on 16 December. It’s not unlikely that further regulation will follow raising further hurdles to increasing much needed floor space by excavating a basement.